One of the most distressing and recurring themes in modern security analytics and SIEM discourses is the cybersecurity talent crisis. According to earlier studies by Cybersecurity Ventures, by 2021 3.5 million cybersecurity jobs will go unfilled. In a more recent report by technology research firm Gartner, 70% of enterprise employees haven’t managed the digital skills they need for their current jobs. 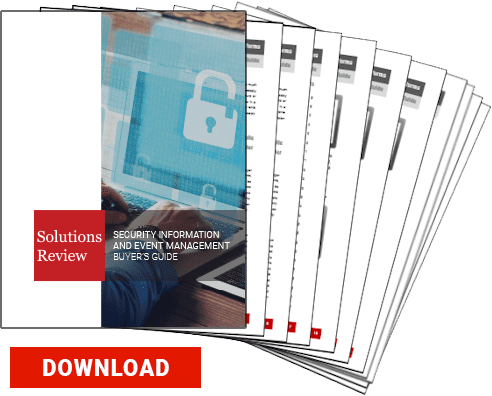 Therefore, it is no wonder so many small-to-medium businesses and large enterprises turn to managed security services providers (MSSPs) to fill the gaps in their security teams. MSSPs can provide the expertise, solution management, and 24/7 system monitoring enterprises may not be capable of supplying themselves—especially enterprises in areas with low cybersecurity talent available. But how should your enterprise go about selecting an MSSP? SIEM solution provider AlienVault offers their “Top 10 Tips for Selecting an MSSP” resource to help you make the right decision. MSSPs don’t operate in a vacuum. Each one has its own reputation in the cybersecurity and MSSP fields. As AlienVault points out, if you’re going to trust a third party with your entire security platform or even just your SIEM management, you want to make sure you can trust them. Take the time to look at the customer and industry feedback for your top vendor choices to determine if their support and expertise are up to your standards. If customers mention needing a threat remediated while working with them, investigate how their MSSP responded. MSSPs can help you secure your databases, digital assets, and network movements. However, the largest attack vector in your enterprise is much more insidious than that: your own employees. The vast majority of modern cyber attacks start with a phishing attack or a similar social engineering attack to exploit employees’ cybersecurity ignorance or negligence. Hackers can use these attacks to conceal their activities from detection software or wreak havoc on your network via a malicious payload. Therefore, if you are worried about your employees leaving your enterprise vulnerable, you should inquire into whether your top choices for MSSP offer any kind of cybersecurity training. Training of this sort can help employees recognize phishing attacks before they can fulfill their goals, how to alert your security team as to a potential cyber threat, and how to avoid activities putting your enterprise at risk. If they don’t offer direct training, see if they can help advise your own cybersecurity training initiatives or if they have recommendations for a third-party training provider. To learn more about selecting an MSSP, check out the “Top 10 Tips for Selecting an MSSP” resource courtesy of AlienVault.